Jump Force just launched, but that doesn’t mean the developers are leaving it there. More changes are planned for the Shonen Jump fighter, with an update planned for “the coming days.” It looks to make some technical improvements, including the reduction of loading times. It’s certainly not the most detailed set of notes, but we should get some more information as we get closer to the update’s release. However, skipping cutscenes may be a plus for some, considering they were one of the biggest negatives of our Jump Force review. Unfortunately, it remains to be seen if any of these improvements will fix the other issues with this game, but any improvements must be appreciated. Jump Force was made to celebrate the 50th anniversary of Shonen Jump, featuring some of its most iconic characters all together in one over-the-top mess (evidently both figuratively and literally). Everything from JoJo’s Bizarre Adventure to Naruto is represented here, duking it out on stages that mash up real-world locales with manga insanity. Some Shonen Jump die-hards have even managed to already get their hands on Jump Force, as the Ultimate Edition gave players three days of early access. However, Jump Force has been far from what players were hoping for. 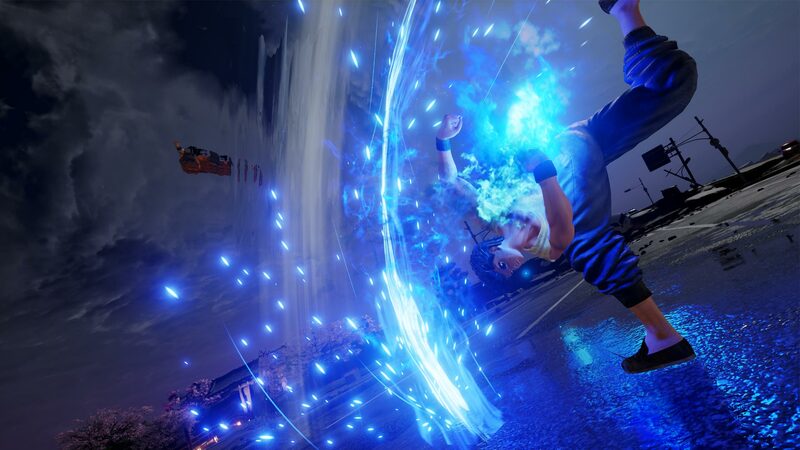 Our review called it “a swing and a miss.” With nine DLC characters planned, there is definitely the potential for Jump Force to have a long life. It just needs some major tweaks.